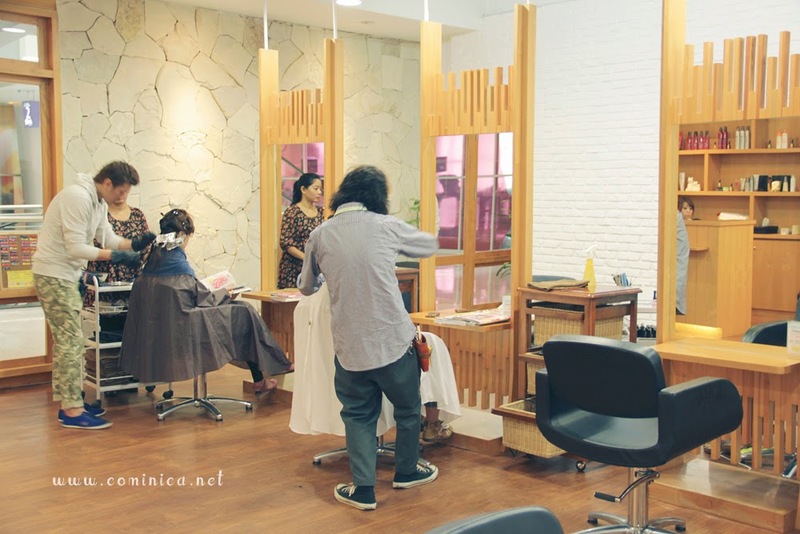 Hey ladies, last Monday I went to Nobu Hair and More, a Japanese Hair Salon at Citywalk, Jakarta. At first, I was going to try their Spring Gel Nail Art because one of their staff invited me. But later my client from OLIVE des OLIVE told me that they're going to have a collaboration together for Japan Week event. I really love the atmosphere of this salon, so cozy, natural and feels like home. All the stylists are very kind and nice too, too bad they only speak Japanese LOL. Gel nail art! So many designs to choose, hahaha. Okay, I'm waiting for the nail art~ still excited at that time lol, I came there from 10am ~_~ so early and so macet! hahahha (｡º̩̩́⌓º̩̩̀). And after the nail art, I need to wait like few hours because their customers are so many. Mostly Japanese, like 90-95% hahaha. Their stylist are all Japanese, so you can directly enjoy their good service. SO, the reason is he wanted to check my hair condition first, like if my hair still can take the colour or not and the chemical or not. I was like, why don't you dye everything la?! hahaha Japanese stylist always so perfectionist ne? All of the stylists said that my hair is so strong after all the damage. I feel a little bit sorry for my hair, lol. In real the top part looks a bit violet, but in room light it looks brownish. 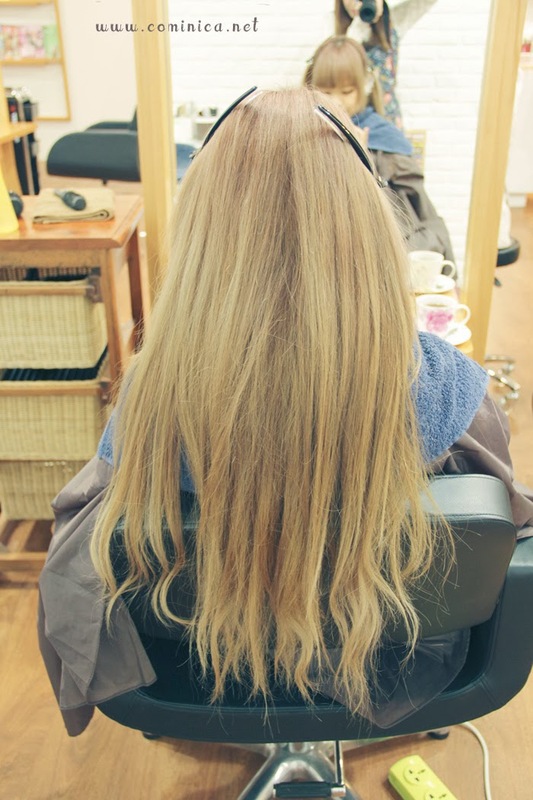 I quite like the result, hehe the two tone hair looks good for spring I think~ If you're looking for a hair salon now, maybe you can try Nobu Hair but remember to make a reservation because it usually full.